Why do I not have an option to look at my configured application server? I'm using IntelliJ 12U (evaluation). 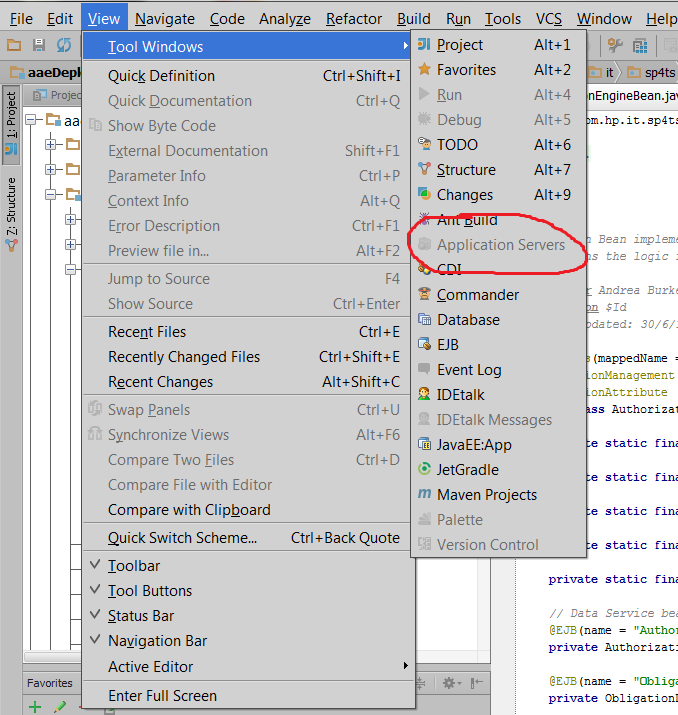 'Application Servers' window is not available until you have at least one app server run configuration in the project (Run | Edit Configurations).